What is the current state of KDE Plasma 5 at area 51? Any crashes? Bugs? Is it usable in current state? In my short experience with testing it, it does work for the most part but there are a fair amount of bugs yet. It's not yet ready for general use IMO. Yes, as protocelt has previously commented, KDE Plasma 5 is for testing purposes ATM. Would it be a better idea to install Plasma 5 from a fresh install, instead of installing KDE 4 and then uninstalling it and installing Plasma 5? Or are there dependencies in KDE 4 that are required for Plasma 5? No. In such scenario, it's always preferable a fresh install instead update from KDE4 to KDE5. If your using ZFS boot enviroments you can also just create a new boot environment with beadm(1), nuke all the packages, start with a fresh base install, and then nuke the environment and boot into the working original install afterwords if you want. It's how I do the majority of my testing for things like this. Just to be clear, Plasma 5 is in the testing phase and as such isn't even always guaranteed to build. Just a quick question. With the KDE port, does that mean entire KDE stack (plasma, frameworks, apps) works or just the plasma DE? 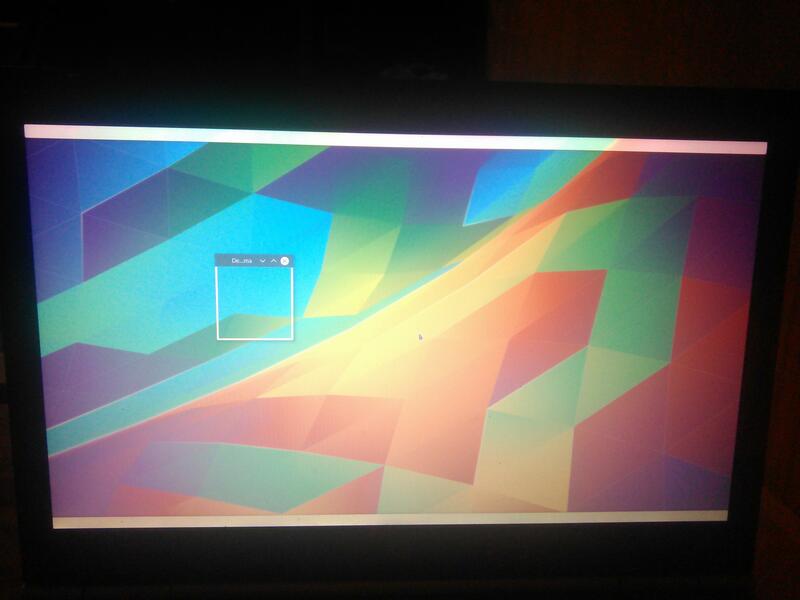 When I tested it last, which was a few months ago, I only noticed Plasma 5 and Frameworks 5(which Plasma 5 requires). I'm not sure off hand about applications or current status of the port in general. The goal is of course to at some point include everything. I may test it again and provide some feedback this weekend if I have the time. I've tried to build the Plasma 5 packages about 4 or 5 times. All on clean installs, twice by installing KDE 4 first, once by installing the base system, Xorg and then Plasma 5 from xterm, and twice by base system, Xorg and Plasma 5 from the shell. It always gets into compiling the Plasma packages and then errors out. I should also mention that I am doing this in a dual boot scenario with Windows 7 and I can get FreeBSD/KDE 4 up and running perfectly dual booting with Windows 7. I am only testing this, my daily OS/PC is a Slackware rig and I'm just playing around with this on a test computer to basically learn my way around FreeBSD. If someone can tell me how to log this build or where the log is, I would be happy to post it and see where things are going wrong. You can use script(1) for that purpose. Ok, I got why it's not finishing. I'm going to go ahead and continue with vulnerabilities disabled since this is only a test rig. Ok. 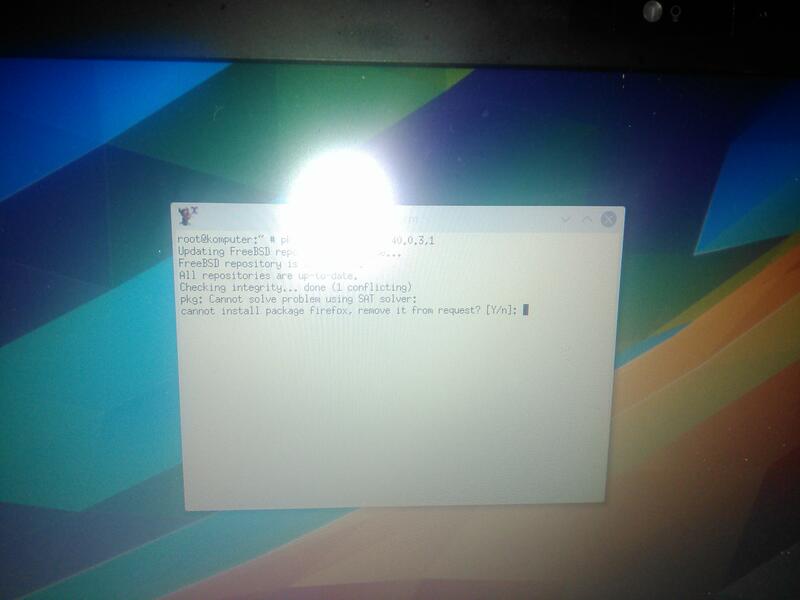 I was install and run Plasma5 but is something wrong. There is no any start button and I can't do anything. Is sure good idea install plasma on base system instead upgrade from KDE4? Meaby use som file from this? To enable or disable PORT_OPTIONS just run make config into the port. Maybe add it to Makefile? This means that this port doesn't have OPTIONS defined by default. Well, probably if the source code doesn't include any important documentation or doesn't have NLS support then the port maintainer doesn't need to add such OPTIONS to the Makefile. How will be example for DOCS and NLS at the OPTION_DEFINE section in Makefile I want to be sure if I do everything correct. See net/smb4k-kde4 as an example. Plasma 5 is still in the process of being ported. Even if the port and it's dependencies do build and install correctly, that does not guarantee Plasma 5 will work correctly or even work at all at any given point of time. Users are however encouraged to try installing and using it as well as offer their feedback and especially patches to bugs/issues to help keep the work going forward with the expectation that it is not stable yet. Issues can be reported and discussed on the freebsd-kde mailing list, as mentioned here. This is probably not the best place to discuss issues with a port in progress. I haven't yet had the time to install and test Plasma 5 again, but hope to get the chance some time during the following week. I've got a lot of experience with kf5 and plasma5 stuff on Arch based stuff (Antergos, Manjaro) and on Debian based stuff (siduction, Netrunner16) and I currently use Antergos with new kf5 stuff. I'll try to install kf5 and plasma5 on FreeBSD and I hope, I'll be able to give useful feedback. It's still in the process of being ported so what I wrote in my last post above still stands.